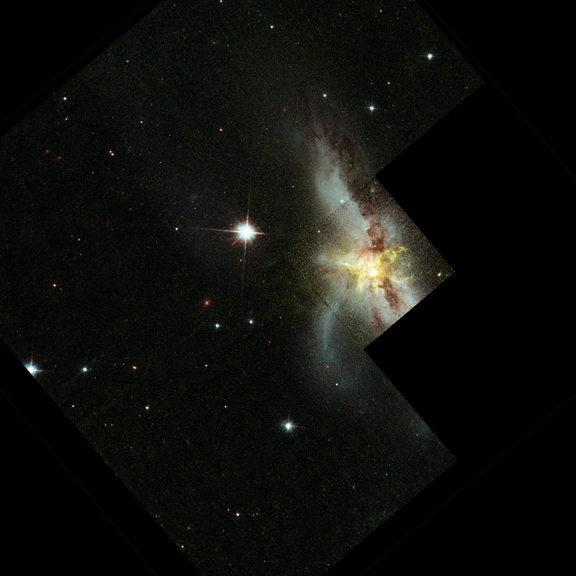 The image on the left shows the galaxy NGC 6240 in optical wavelengths taken by the Wide-Field Planetary Camera 2 aboard the Hubble Space Telescope. The Chandra image on the right covers the same field of view of the galaxy's central region. 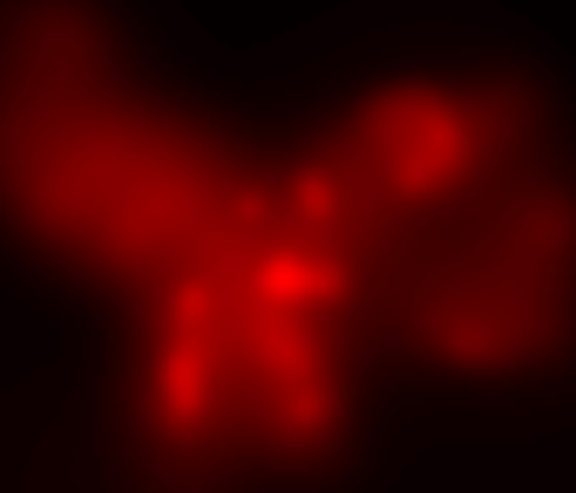 The colors in the X-ray image show the intensity of the low (red), medium (green) and high (blue) energy X-rays. For the first time, Chandra has clearly revealed two supermassive black holes in the core of the galaxy. Scale: Each panel is .35 x .3 arcmin. 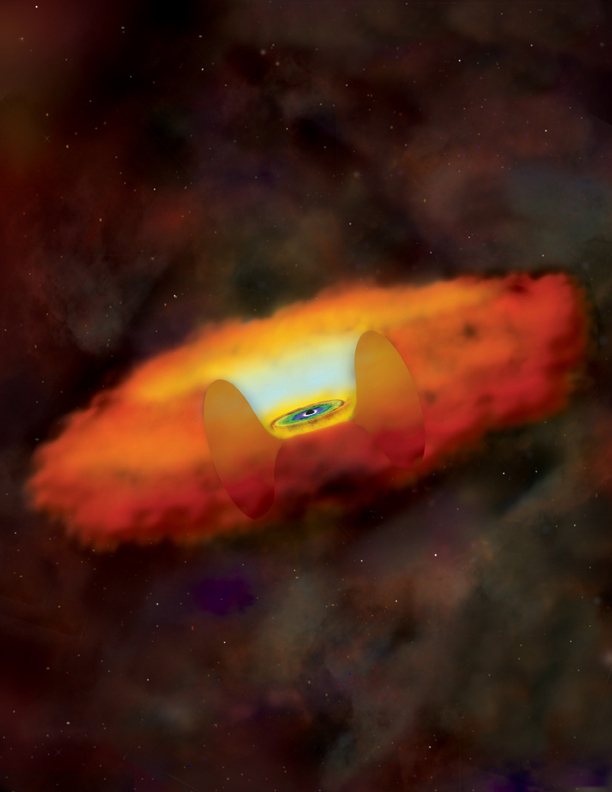 The distribution of X-rays with energy, or spectrum, of the southern nucleus shows distinctive features characteristic of gas around a supermassive black hole. 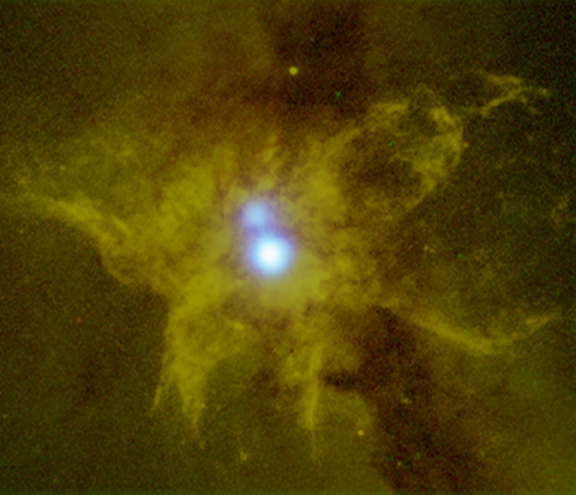 These features are the broad plateau (extending from the middle toward the right of the spectrum) produced by hot gas in the vicinity of the black hole, and the sharp peak (on the right side) due to the fluorescence of iron atoms in cool gas excited by X-rays from near the black hole. The broad peaks on the left portion of the spectrum are due to multimillion degree gas in the galaxy that is projected onto the nucleus. The solid blue line represents the theoretical model that best fits the data (pink dots). Scale: Full Field: .7 x .5 arcmin (= 40 x 30 arcsec); Zoom In: Image is .35 x .3 arcmin. Chandra has revealed that the nucleus of an extraordinarily bright galaxy contains not one, but two active giant black holes. 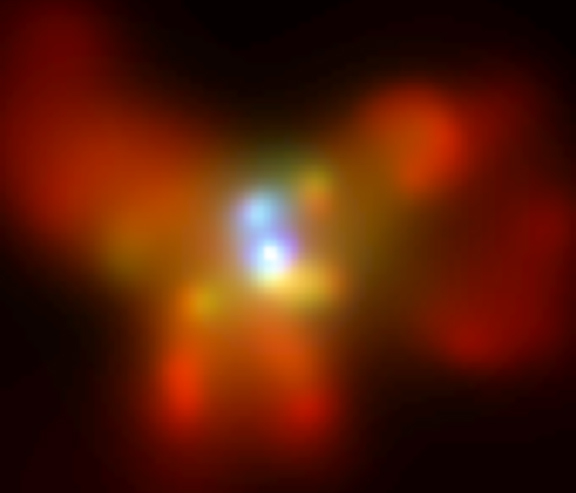 The first image shows only the highest-energy X-rays (5-8 keV) detected by Chandra, which come from gas around the two black holes in the center of the galaxy. The second image shows the medium-energy X-rays (1.5-5keV) and the third image shows the low-energy X-rays (0.5-1.5keV) detected by Chandra. Scale: Image is .35 x .3 arcmin. 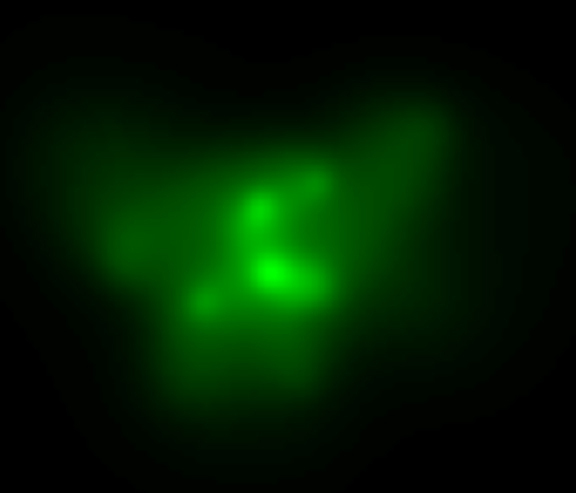 This image shows a composite of the Optical and X-ray data of the galaxy NGC 6240. 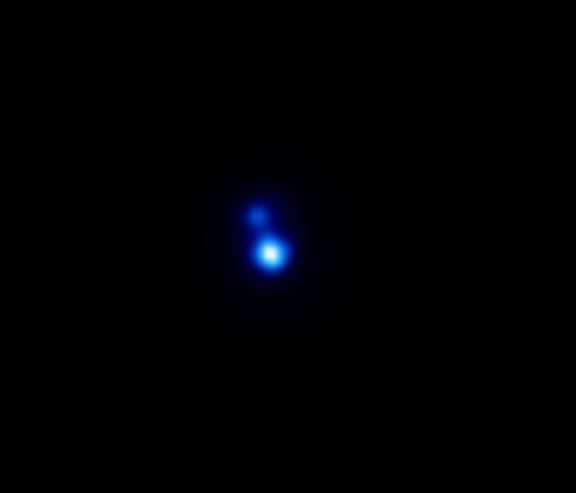 The optical data (in yellow and blue) were taken by the Wide-Field Planetary Camera 2 aboard the Hubble Space Telescope. The Chandra data covers the same field of view of the galaxy's central region. 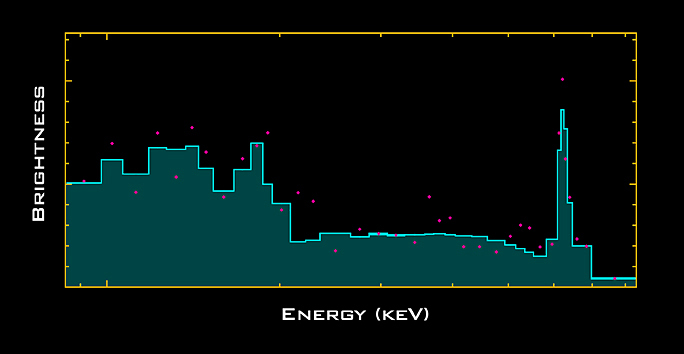 The colors in the X-ray image show the intensity of the low (red), medium (green) and high (blue) energy X-rays. For the first time, Chandra has clearly revealed two supermassive black holes in the core of the galaxy. 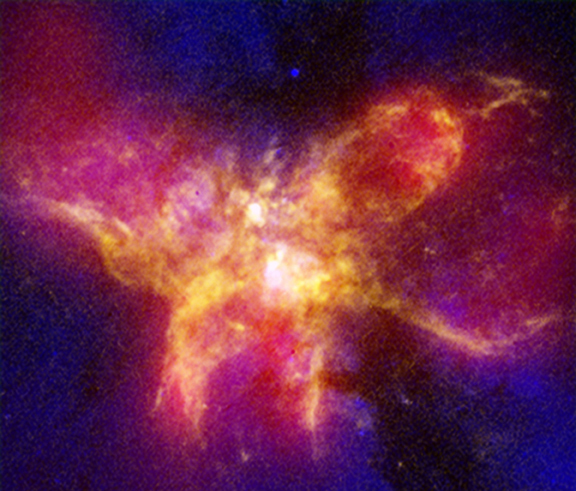 This image shows a composite of the Optical and X-ray data of the galaxy NGC 6240. The optical data (in yellow, red and green) were taken by the Wide-Field Planetary Camera 2 aboard the Hubble Space Telescope. 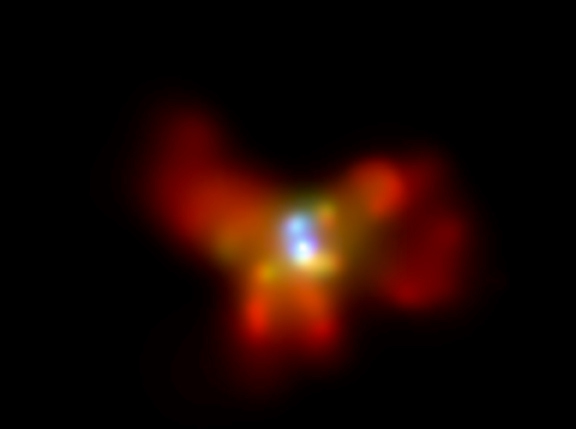 The Chandra data covers the same field of view of the galaxy's central region. 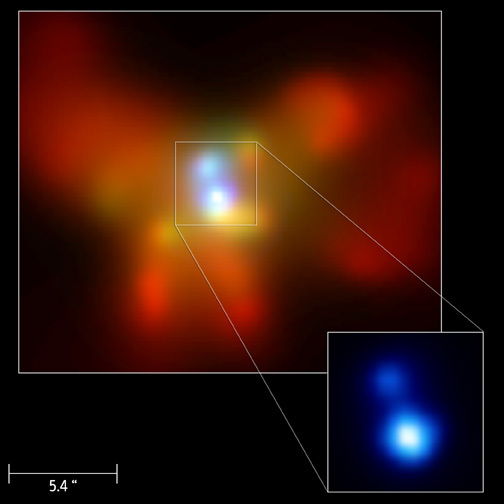 The X-ray image (blue) shows the high X-rays from the two supermassive black holes in the center of the galaxy. 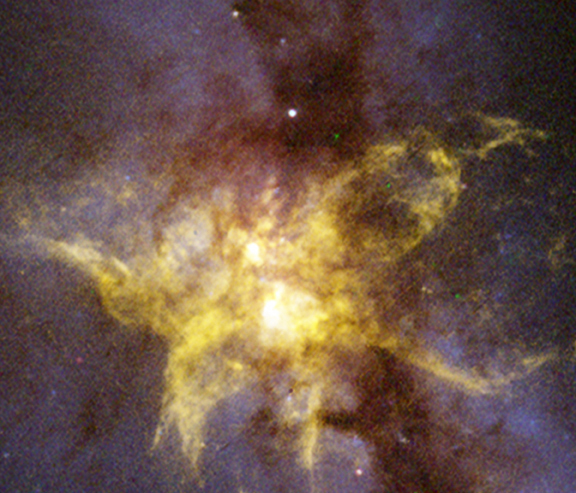 This image shows the central region of the galaxy NGC 6240 in optical wavelengths taken by the Wide-Field Planetary Camera 2 aboard the Hubble Space Telescope. This image shows the wide field view of the galaxy NGC 6240 in optical wavelengths taken by the Wide-Field Planetary Camera 2 aboard the Hubble Space Telescope.